Probing deeply into the story of Adam and Eve in the Garden of Eden, focusing especially on the character of the nachash (serpent, snake, sneak), the author explains that we are presently in the period of history that corresponds to that fateful Friday in Eden. He shows how the teachings of the Torah are the antidote that allows us to finally stop making the same mistake and begin the process of tikun (repair) that will bring healing to our world. He explains the problems with modern technology—and the mindset behind it—and how the inner, prophetic, spiritual technology of the Torah can help us make a major paradigm shift away from the path of destruction to true redemption. The teachings in this book show that the possibility of transforming this world into heaven is actually what the Torah is all about. “We are living in a special time, a pregnant time...a time about which our ancestors dreamed and saw visions. It is an awesome time in which everything hangs in the balance and all of history is coming to its culmination. It is a time in which the reasons for many things will be revealed. The single most important thing that we will understand (which includes everything else) is God’s plan for us. We will understand that, through supernatural and natural means, God is bringing this plan to fruition. This involves moving into the next stage of history, the Messianic Age, the return to Edenic consciousness on a higher level...” (from the Introduction). 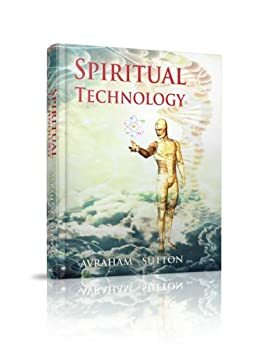 Avraham Sutton is not just another author, and Spiritual Technology is not just another book.